In Decem­ber 1912 Her­mann Derkom found­ed “Rem­schei­der Schleif- und Polierindus­trie Derkom & Co.” in Rem­scheid near Solin­gen, Ger­many. 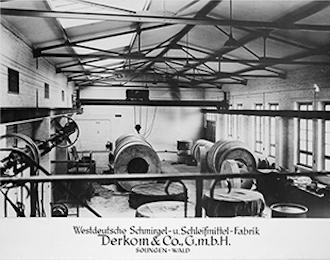 A few years lat­er, in 1917, he took over “West­deutsche Schmirgel- und Schleifmit­telfab­rik GmbH” in Solin­gen-Wald. In the fol­low­ing years Derkom began to use mag­ne­site for man­u­fac­tur­ing large grind­ing wheels, a mate­r­i­al pre­vi­ous­ly not well known. His goal was to replace the haz­ardous sand­stone types, which had been the cause of so-called grinder’s lung. After WWII and eco­nom­ic recov­ery, mod­ern­iza­tion of the com­pa­ny and the merg­er with the Solin­gen com­pa­ny Paul Klein & Co., DERKOM+KLEIN devel­opped into a spe­cial­ist in the field of mag­ne­site and resin-bound grind­ing wheels. DERKOM + KLEIN is a long-estab­lished com­pa­ny, large enough to pro­duce ratio­nal­ly and cost effec­tive and small enough to be flex­i­ble and indi­vid­ual. The prod­ucts range from mag­ne­site and resin bond­ed grind­ing wheels to two-zone grind­ing wheels and dress­ing tools. Our abra­sives con­sist of bind­ing com­po­nents, sin­tered corun­dum and sil­i­con car­bides and are devel­opped and man­u­fac­tured indi­vid­u­al­ly for each customer´s appli­ca­tion. An essen­tial con­di­tion for the con­sis­tent qual­i­ty of grind­ing prod­ucts is com­pli­ance with the exact quan­ti­ties of raw mate­ri­als. At DERKOM com­put­er­ized meter­ing sys­tems and elec­tron­ic weigh­ing sys­tems are used. This guar­an­tees cor­rect fill­ing weights with­in tight­est tol­er­ances. 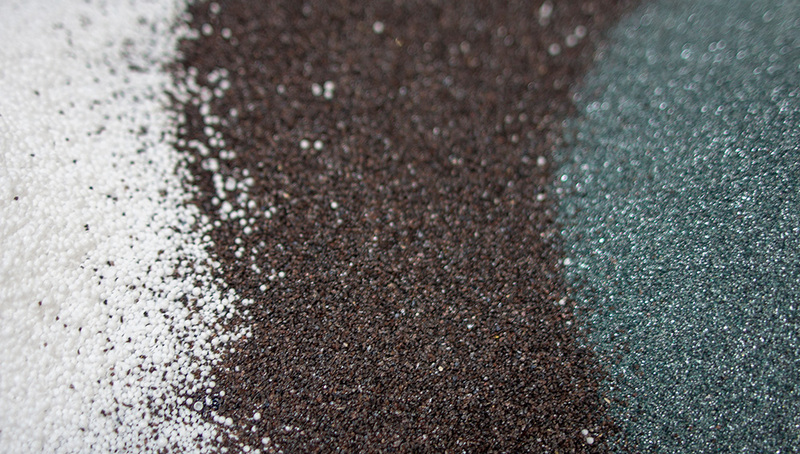 Com­bined with proven mix­ing tech­nol­o­gy this results in an accu­rate repro­ducibil­i­ty of prod­ucts. Each prod­uct spec­i­fi­ca­tion is stored in data­bas­es to guar­an­tee long term con­sis­tent qual­i­ty. Cus­tomized prod­ucts or spe­cif­ic pro­cess­ing of grind­ing wheels is enabled by an exten­sive range of machin­ery and com­plex machin­ing oper­a­tions can be car­ried out accord­ing to cus­tomer require­ments. 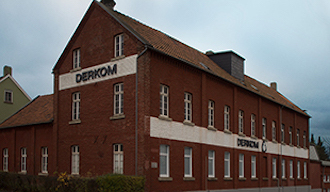 DERKOM + KLEIN is a man­u­fac­tur­er and ser­vice provider with a great tra­di­tion and strives till today for high­est qual­i­ty in prod­uct devel­op­ment, pro­duc­tion and cus­tomer ser­vice. Our qual­i­ty man­age­ment sys­tem has since 2003 been eval­u­at­ed by DEKRA Cer­ti­fi­ca­tion GmbH accord­ing to ISO 9001 stan­dards on a reg­u­lar base.